Former US President Barack Obama is expected in Boston on Sunday to receive the John F. Kennedy Foundation's annual "Profile in Courage Award," honoring his accomplishments during his two terms in office in the face of intense political opposition. "President Kennedy called on a new generation of Americans to give their talents to the service of the country," said Caroline Kennedy, John F. Kennedy's daughter, who will present the award at a ceremony beginning at 8:30 p.m. EDT (0030 GMT). "With exceptional dignity and courage, President Obama has carried that torch into our own time, providing young people of all backgrounds with an example they can emulate," Kennedy said in a statement. She served as US ambassador to Japan during the Obama administration. Previous recipients include Presidents Gerald Ford and George H. W. Bush, former US Representative Gabrielle Giffords, who survived an assassination attempt, US Senator and former prisoner of war John McCain and US Representative and civil rights leader John Lewis. The award takes its name from Kennedy's 1957 book profiling eight US senators who risked their careers by taking politically unpopular stands. 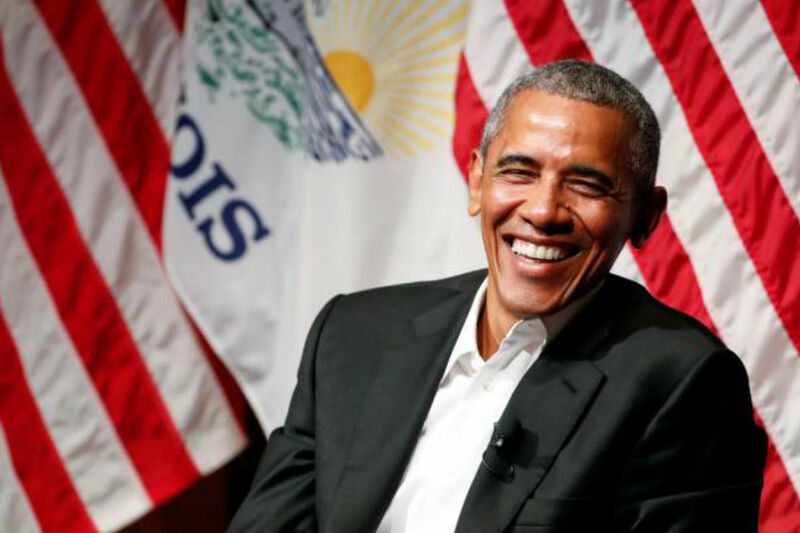 Obama, a Democrat, recently stepped back into the public eye, as his Republican successor Donald Trump strives to roll back some of Obama's most important policy achievements. The House of Representatives last week narrowly passed a bill to repeal and replace the Affordable Care Act, or Obamacare, a 2010 law that enabled 20 million more Americans to get health insurance. Healthcare reform had long been a priority of US Senator Edward Kennedy, brother of John F. Kennedy. President Kennedy was assassinated on November 22, 1963. In his few public appearances so far this year, Obama has avoided commenting on Trump, instead urging young people to remain politically active. Last week he laid out plans for his Chicago presidential library. Sunday's ceremony will be held at Kennedy's waterfront library, which overlooks Boston Harbor.